This book provides the basic knowledge of Japanese contributions in political economy and the ongoing research agenda, such as the pursuit of theoretical consistency in Marxian economics by Uno School; the concept of ‘civil society’ as a criterion of existing socio-economic structure; a mathematical reconstruction of Marxian theory; and an analysis of environmental pollution. 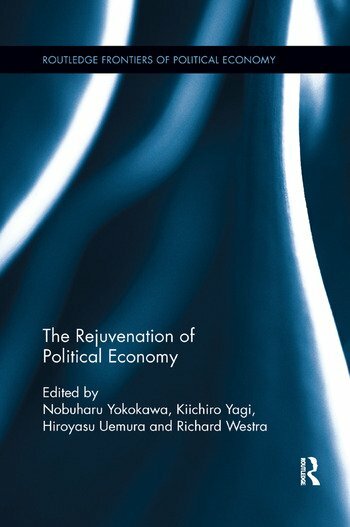 The new generation of Japanese political economists in collaboration with their overseas counterparts has produced new insights into political economy and into the newly emerging structure of the world economy. The book provides useful insights into international capitalism and how past patterns of uneven development are now changing; the role of international finance in affecting both national and international growth and employment patterns; an analysis of recent growth patterns in Asia; and the specific issue emerging within the Asian region and the implications for economics, social change and geopolitics. Nobuharu Yokokawa is Professor of Economics at Musashi University, Tokyo, Japan. He was educated at Shiga University (BA), the University of Tokyo (MSc) and Cambridge University (PhD). He co-edited Capitalism in Evolution (2001) and Crises of Global Economies and the Future of Capitalism: Reviv-ing Marxian Crisis Theory (2012). Since 2007, he has been editor of the Uno Theory Newsletter. He is Chairman of the Japan Society of Political Economy (JSPE) Committee for International Communication and Exchange. Kiichiro Yagi is President of Setsunan University, Osaka, Japan. He was educated at the University of Tokyo and Nagoya University. He received his PhD from Kyoto University. He taught political economy and history of economics at Kyoto University for a quarter of a century. Since the mid-1990s, he has tried to integrate the ideas of evolutionary and institutional economics with classical political economy, including Marxian economics. He is Chief Representative of the JSPE. Hiroyasu Uemura is Professor of Economics at Yokohama National University, Japan. He was educated at Hitotsubashi University. He is a contributor to Japanese régulation theory. He has published numerous books and articles in the field of institutional economics and macroeconomic analysis. Richard Westra is Designated Professor in the Graduate School of Law at Nagoya University, Japan. He received his PhD from Queen’s University, Canada. He has authored and edited thirteen books. His work has been published in numerous international peer-reviewed academic journals.